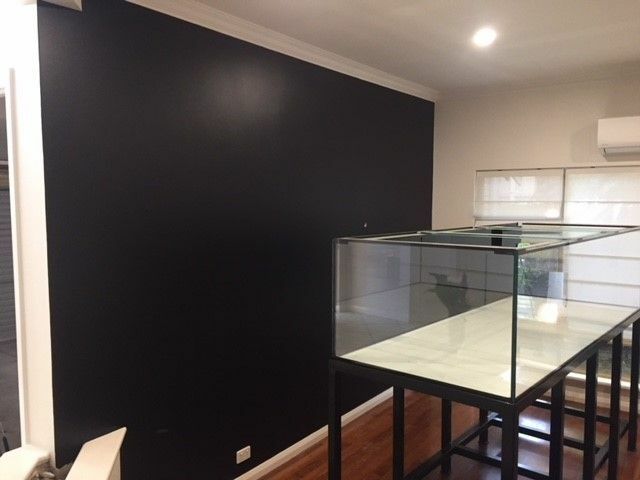 Wall has now been painted black, and I must say it really pops already with the black stand and the rest of the house being painted 'ivory white'. The light brackets are currently at the powder coaters, getting finished in 'satin black' like the stand. Should look pretty spectacular once the tank gets pushed back on the wall, putting a real focus on the tanks inhabitants.